You expect to read here something about the „famous Hohenemsers“ of the past? Well, if you look around you find the wisdom of the Hohenems Diaspora also in our contemporary world. Its fun to organize a Reunion of Hohenemser descendants – living all over the globe. Because doing this you run into wonderful people like Christopher Brauchli, a retired lawyer in Boulder Colorado, and descendant of the Reichenbach family. He was president of the Boulder and Colorado Bar Associations and served on various bar and Colorado Supreme Court Committees throughout his legal career. But he is a great blogger too! 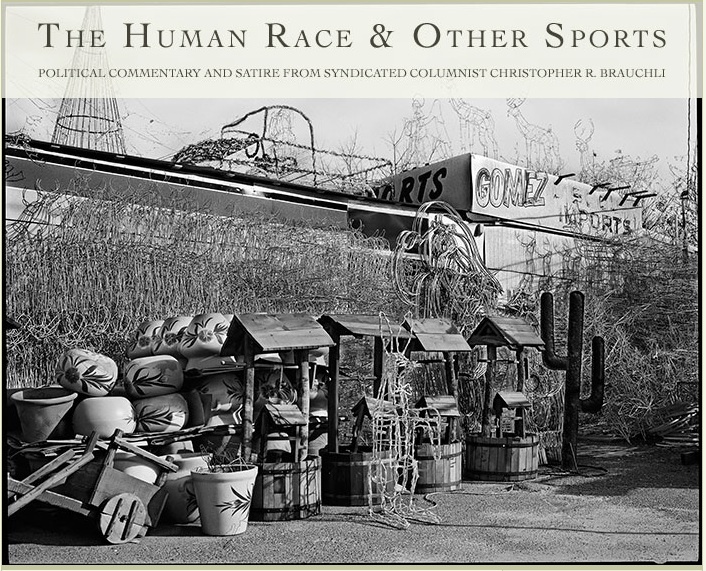 Both on Huffington Post and on his own one: „The Human Race and Other Sports“ presents lucid and sometimes breathtaking political commentary and satire. Unfortunately its a good time for satire in the US today. As good times for satire very often are bad times for the human race – and the race for something human. What makes it into the news is indeed only the tip of the iceberg. If you want to learn more about the daily ration of poison the Trump administration and its entourage is bringing about – please find some insight into the abyss here. Something only digestible with Brauchli’s unbeatable and poignant black humor. Next Next post: Purim celebration in Hohenems? Purim in Hohenems!